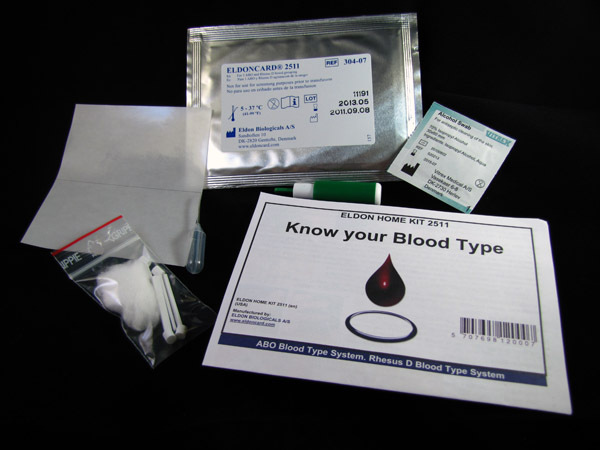 Knowing your blood type is important in a medical emergency, and if you don't know yours, there are fairly simple at-home tests that you can use to figure it out. I picked up this kit from Amazon for under $11 bucks; it contains everything needed to perform the test. 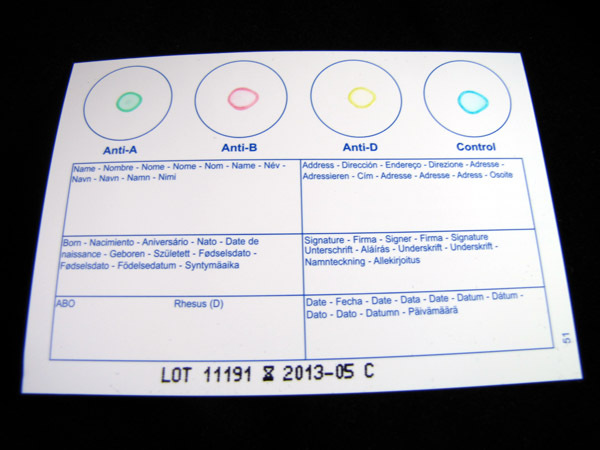 The heart of the test kit is an Eldon card, which is a cardboard card that features four test areas. You add a drop of water to each circle, prick your finger with an included lancet, and then use four plastic sticks (EldonSticks) to transfer/swirl blood in each area. Each test area will either clump/clot together, which indicates presence of agglutinates, or not clump. Your blood type is determined by the combination of agglutinates present. 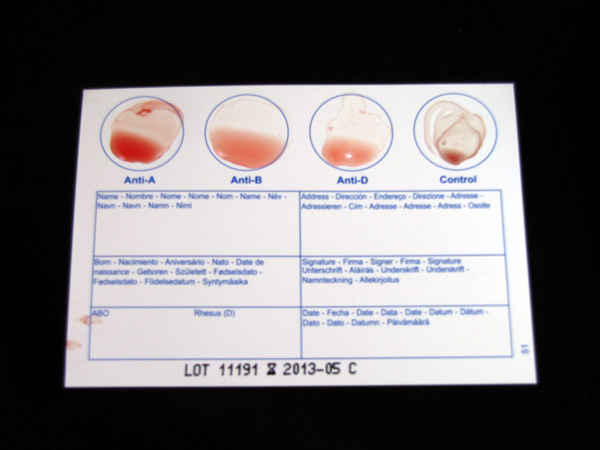 Here's my test - it appears none of the test areas are indicating presence of agglutinates (no clumping/clotting), which means that my blood type is O Negative. 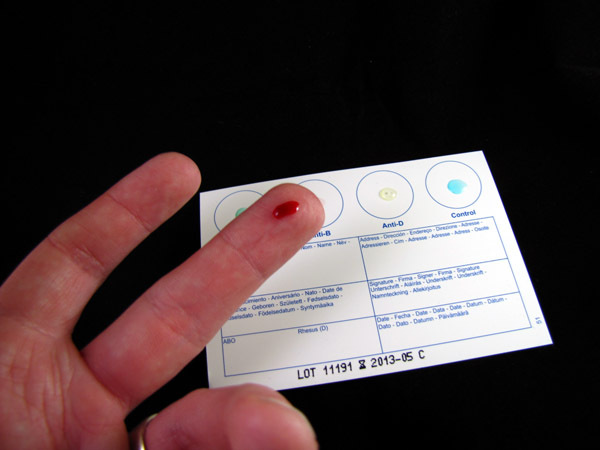 That is my blood type, so successful test here. This was my first time using a test like this, and I had trouble getting enough blood to fill the test areas--I should have taken my time here and squeezed more blood out of the pin prick before moving onto the testing. It worked out in the end, though. I would recommend having a friend/family member help out on this if you decide to do it yourself. Make sure to thoroughly read the instructions and have everything organized and ready to go. After you prick your finger, you need to move fairly quickly, so be ready! Shelf life on these kits looks to be about a year and a half if you're thinking about putting some back for storage.